Ever wished you could learn C from a book? 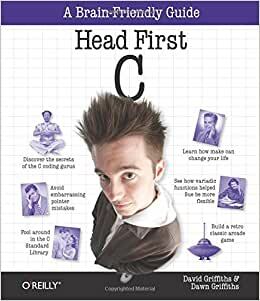 Head First C provides a complete learning experience for C and structured imperative programming. With a unique method that goes beyond syntax and how-to manuals, this guide not only teaches you the language, it helps you understand how to be a great programmer. You'll learn key areas such as language basics, pointers and pointer arithmetic, and dynamic memory management. Advanced topics include multi-threading and network programming - topics typically covered on a college-level course. This book also features labs: in-depth projects intended to stretch your abilities, test your new skills, and build confidence. Head First C mimics the style of college-level C courses, making it ideal as an accessible textbook for students. We think your time is too valuable to waste struggling with new concepts. Using the latest research in cognitive science and learning theory to craft a multi-sensory learning experience, Head First C uses a visually rich format designed for the way your brain works, not a text-heavy approach that puts you to sleep. David Griffiths began programming at age 12, after being inspired by a documentary on the work of Seymour Papert. At age 15 he wrote an implementation of Papert's computer language LOGO. After studying Pure Mathematics at University, he began writing code for computers and magazine articles for humans and he is currently an agile coach with Exoftware in the UK, helping people to create simpler, more valuable software. He spends his free time traveling and time with his lovely wife, Dawn. Dawn Griffiths started life as a mathematician at a top UK university. She was awarded a First-Class Honours degree in Mathematics, and was offered a university scholarship to undertake a PhD studying particularly rare breeds of differential equations. She moved away from academia when she realized that people would stop talking to her at parties, and went on to pursue a career in software development instead. She currently combines IT consultancy with writing and mathematics. When Dawn's not working on Head First books, you'll find her honing her Tai Chi skills, making bobbin lace or cooking nice meals. She hasn't yet mastered the art of doing all three at the same time. She also enjoys traveling, and spending time with her lovely husband, David. I'm an engineering grad student and found myself need some C programming. I took a course "Programming in C" as a freshman but never really used C since then. And I didn't do well in that course. 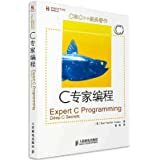 So I only have a very vague impression about C. This book is great for me to re-learn C, and I find that it can't fit my situation better! I mean, it's great for someone who knows a bit about programming and a bit about C, and by working through all examples in this book, he finds that there is no more obstacle in programming in his engineering project, and further explore data structures and algorithms. I am a returning adult college student currently studying Computer Science. Having taken 2 courses in each of the following languages; Java, C# and Visual Basic. I must say that the learning style in this book is head and shoulders above the standard language textbooks. I am not saying that I didn't learn anything from the standard textbooks, but the learning curve at times was pretty steep. In addition to that, reading Java (my main language of choice) API documentation sometimes feels like I am speaking another language compared to what is used in the documentation. I think this is because the standard 900 page language textbook, while full of great information, is often dull as corn flakes, and hard to read line by line. So I ended up missing a lot of key terminology. This book, while overly corny at some points, keeps you locked into the content. It is actually really hard to put this book down at times, even though the authors suggest that you take the chapters slow, so the information has time to sink in. I will be looking for more head first titles on other subjects in the future. Head First books are in my opinion the best way to learn programming languages. I'm 1/2 way through this book and am enjoying it. I tried to learn c before and gave up. I learned my first language with Head First Java and have since learned Actionscript, java script and c#. I tried learning c before but gave up. I decided to try again using Head First and am 1/2 way through the book. Starting to program with a high level language like Java definitely makes learning c easier. If you're comfortable with programming concepts this book is for you, otherwise get Head First Java first. Another excellent Head First title. C is not really as complicated as you might think. Don't let what you've heard about it intimidate you. This is an excellent introduction. Combine this with "Understanding and Using C Pointers" and you'll be loving C in no time. It's a fun, powerful language that has stood the test of time.